Should salons offer foot massage a la carte, or can a little reflexology sweeten the deal? A quick stroll through most big cities will show there’s a new businesses model — foot massage parlors. At these locations foot massage is modestly advertised on signs with varying prices and durations for the service. In nail salons, most techs already incorporate foot and lower leg massage into the pedicure. It’s an easy way to delineate between services on their menu. A salon might offer a basic pedicure, with just a soak, nail trim, and color. But add in a massage with a sugar scrub or massage lotion, and the service gets bumped up to a spa pedicure package that can be priced higher. Foot massage as a stand-alone service can be a useful item on your menu. For clients who are just looking to relax, a foot massage may appeal to them, as you can offer the service at a reasonable rate, and then entice them to a full spa package where more products are used and the nails are tended to. Clients who frequent foot massage parlors are often looking for a more holistic and medicinal experience than an indulgent, pampering one. Reflexology is the service these patrons seek, and it can be used to help alleviate everything from stress headaches, organ problems, nerve pain, and a number of other maladies. Many nail techs incorporate some aspects of reflexology into their massage, while others attend reflexology training and become certified reflexologists. Reflexology is the practice of applying pressure to specific parts of the feet to help alleviate a malady occurring somewhere in the body. The practice of rubbing feet to help improve health and wellness dates back to ancient times, with the earliest examples found in China and Egypt. Today the practice is widespread, with clients who swear by the results. The theory is that the feet mirror the entire body, so the tips of the toes relate to the brain, the pad just beneath the toes aligns with the neck and shoulders. Then moving toward the middle of the foot is the internal organs and spine, and descending down to the bottom of the foot are the pelvic areas. Webb works in conjunction with a spa, where nail techs incorporate her services into their own pedicures. Carrie Turner Bomar, a nail tech who works with Webb, says she is able to get about half of her pedicure clients to opt for the extra reflexology service. Once the pedicure is done, Webb steps in to complete the service. Massage licensing and certification are done at the city and county levels. Some cities and counties require anyone who practices massage to be certified by an approved massage education school, while others only require certification if the service is a full body massage. Others do not require a massage certificate if the service is just from the knees to the feet, or from the elbows to the hands. Often just a Doing Business As (DBA) filing is all that is needed to set up shop and open doors. For reflexology, its statutes vary from state to state. There are currently three states that have separate legislation and licensing: North Dakota, Tennessee, and New Hampshire. But the service mostly falls to the city and county level, like massage. And the differentiation between “massage” and “reflexology” varies. There are also zoning matters to consider. Many times a city will have specifications on how many massage businesses they allow within a given area. So make sure to check with your local department of business and finance as well as your state board to make sure you are fully informed on all the legal requirements for massage and reflexology. For foot massaging, there is a wealth of information to help you improve the quality of your massage, and because your manicuring or cosmetology license incorporates massage services from knees to feet and elbows to arms, there’s no reason why you can’t put the service on your menu. You can read up on reflexology to incorporate some of the techniques and theories, and you can also invest in furthering your education through massage and reflexology courses, both of which will provide you with a wealth of new information that will be beneficial to your clients and also deepen your salon menu and personal skill set. 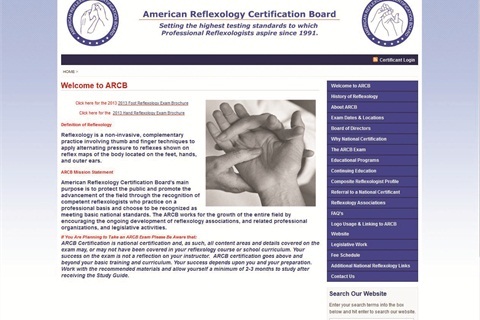 The ARCB and the ACARET both offer education and certification for reflexology, and provide excellent information about reflexology and how interested people can become certified. Massage Register has a database of the licensing requirements for each state and can help put you in touch with an approved local massage school. NAILS Magazine has a wealth of information about foot massaging, from step-by-step demos to themed pedicures that highlight the massage aspect. And our Feet channel can help you with any question you have regarding feet and pedicure services. The new foot massage parlors do not need to be viewed as competition to nail salons’ foot services. And a nail tech can in fact offer everything that a foot massage parlor can by being able to beautify the nails. Sometimes advertising a new service, like foot massage, can be a great way to get new clients in the door, and it also gives the nail tech something new to try out. Offering a foot massage can pique a beauty professional’s curiosity to seek out further education on massage and reflexology, or at the least it could just be offered as a special service certain times of the year. Prices and duration vary widely for foot massage and reflexology sessions. Most pedicurists interviewed who offer foot massage averaged their prices to $35 for a 40-minute massage, with certified reflexology sessions being a bit higher at $75 an hour.